Hitting all the right (low) notes, high-end audio technology innovator Velodyne Acoustics, Inc. and Electrical Distributing, Inc. (http://www.edinw.com/), the northwest’s premier distributor of consumer electronics products, will share the EDI booth during the Pacific Northwest Consumer Electronics Expo (PNWCEE), at the Hyatt Regency in Bellevue, Wash., on April 7-8. Velodyne and EDI will join more than 100 exhibitors from throughout the northwest in the region’s largest CE event. Founded in Portland in 1878, EDI was a longtime Zenith distributor, eventually adding brands like Samsung, Toshiba, JVC, Weber and LG to its portfolio. EDI is a member of The PowerHouse Alliance, a consortium of regional wholesale distributors that provides audio/visual installers and retailers in all 50 states with convenient access to Velodyne’s full line of high-performance, low distortion subwoofers. “Velodyne is delighted to team up with EDI to strengthen our relationship and to promote our brand to potential new dealers and retailers in the Pacific Northwest,” said Henry Le, Service and Domestic Sales Manager, Velodyne. 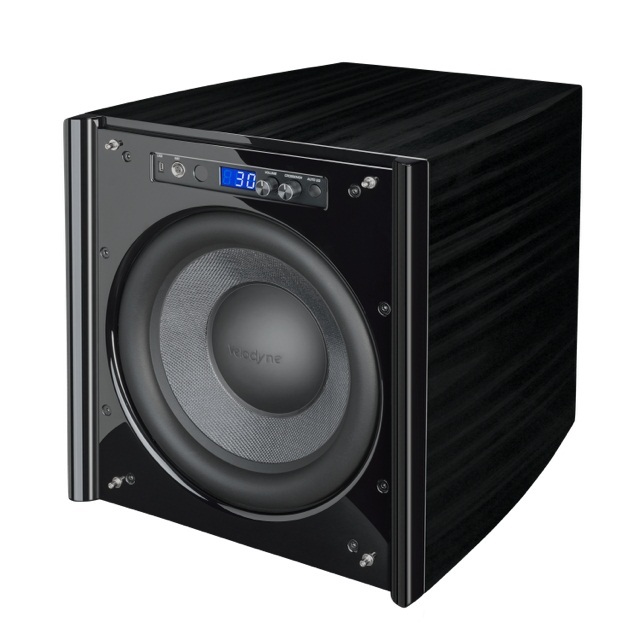 For more than 30 years, Velodyne has been recognized as the leading manufacturer of high-performance, low distortion powered subwoofers that fit any budget – from the Velodyne Impact-Mini 6.5-Inch Subwoofer ($459) to the powerful Velodyne Digital Drive PLUS 18-Inch Subwoofer ($5,799) and plenty of options in between. Newest on the shelf are the Velodyne Wi-Q® Wireless 10-inch and Wi-Q® Wireless 12-inch subwoofers, which are the culmination of three decades of leadership in subwoofer technology. With no clumsy wires, it can be quickly integrated into any entertainment system – in any location within 50 feet (15 m) – or concealed in custom cabinetry. In 1983, David Hall, Velodyne’s founder and chief engineer, revolutionized subwoofer design with the ULD-18, which incorporated a patented, accelerometer-based High Gain Servo System to control the woofer cone movement. The massive speaker system went lower, played louder and produced distortion levels 20 to 30 times less than anything else on the market. Hall and Velodyne have introduced other innovations, including the Dual Tandem Voice Coil, Energy Recovery Amplifier, Digital High Gain Servo-Control and the Digital Drive Room Bass Equalization System. 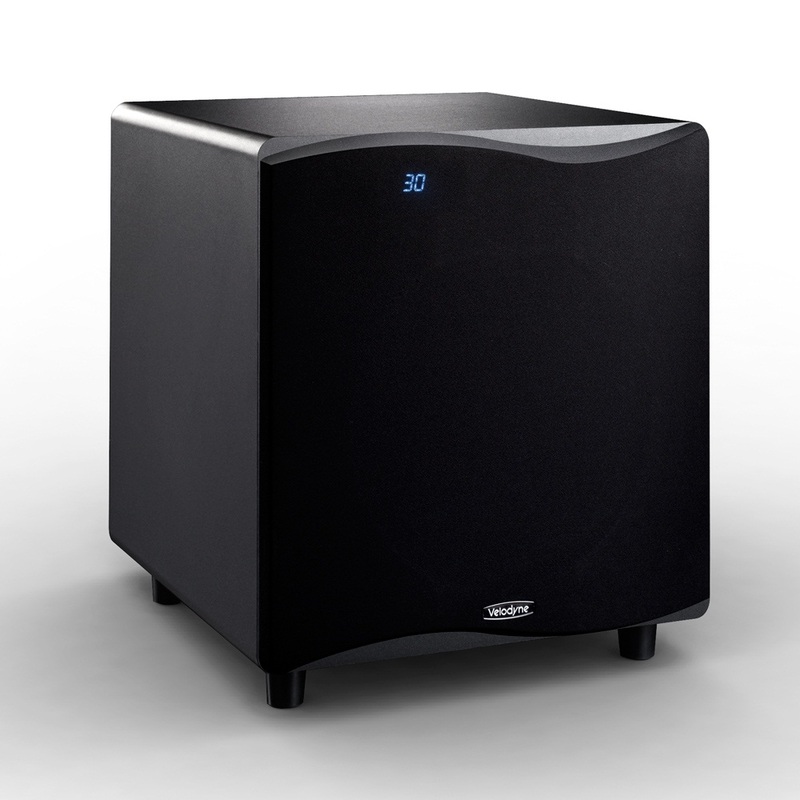 In 2003, Velodyne introduced the world‘s first digitally tuned subwoofers with DSP technology. Today, Velodyne subwoofers contain the industry‘s most flexible and complete feature packages, enabling perfect integration with virtually any system. High-quality crossover networks in all Velodyne subwoofers can actually double a receiver’s usable power and even lower the main speakers’ distortion levels when using the “Subwoofer Direct” feature with the LFE output. Crossover parameters are meticulously engineered to guarantee a perfect blend with any system, regardless of speaker size. Custom installers appreciate that Velodyne subwoofers deliver superior sound in every type of system. 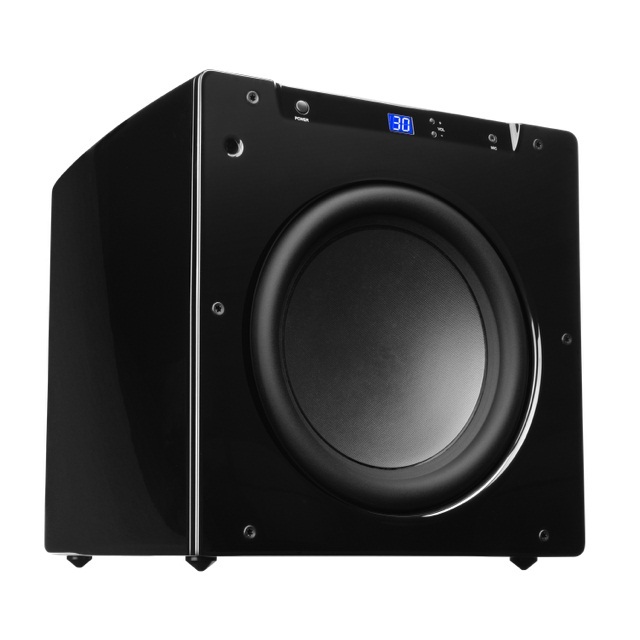 In addition to introducing the first remote controlled subwoofers, Velodyne has engineered sophisticated and easy-to-use digital room bass EQ systems; easy to build in-wall, in-cabinet, in-floor and in-room subwoofers; and one-button-to-perfect bass automatic equalizations for music, theater and games. To ensure maximum output and minimum distortion, unique “anti-clipping” circuits in Velodyne subwoofers automatically monitor the amplifier, allowing the subwoofer to utilize its full power capacity without distorting. Exclusive “dynamic-compression” and over-excursion circuits are also integrated into Velodyne subwoofers to protect from overload and provide extraordinary reliability and durability. Founded in 1983 and based in California’s Silicon Valley, Velodyne Acoustics is a diversified technology company known worldwide for its high-performance audio equipment and real-time LiDAR sensors. The company is widely recognized as the leading manufacturer of high-performance, low-distortion, powered subwoofers and an expanding line of technically innovative in-ear and over-ear audio products, which include interchangeable, custom-designed skins that enable audiophiles to personalize the look of their headphones. Velodyne products are available online at http://www.velodyne.com and from a select group of authorized dealers, custom installers and distributors worldwide. Since 2007, Velodyne’s LiDAR division has emerged as a leading developer, manufacturer and supplier of real-time LiDAR sensor technology used in a variety of commercial applications including autonomous vehicles, vehicle safety systems, 3D mobile mapping, 3D aerial mapping and security. For more information, visit http://www.velodynelidar.com. For the latest information on new products and to receive Velodyne’s newsletter, register here.